MobileDay by Twine is a VoIP software for mobile use, and it enables users to connect to any conference call on any provider. Its features include Wi-Fi calling, team management, smartphone calendar syncing, and reliable security among others. In this article, we cover user reviews and pricing. Ready to get started with MobileDay? Download the app for free. As of the date this article was written (01/21/19), there are no up-to-date MobileDay reviews online. If you are a past or current MobileDay customer, leave a review to help others who are deciding whether or not to use the software. 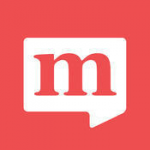 MobileDay has a free plan and one paid subscription option, MobileDay Business ($14/user/month, billed annually). MobileDay also offers discounts for bulk subscriptions. The main difference between the plans is access to premium features, such as additional Push and Wi-Fi minutes, as well as mobile call data and usage trend reports. Ready to get started with MobileDay? Download the app for free. 6 Best Small Business VoIP Phone Service Providers for 2019 — Voice-over-internet-protocol (VoIP) phone services are internet-based alternatives to traditional landline phones with features like auto-attendants, voicemail, and customer relationship management integration. In this guide, we compared the best VoIP programs in terms of pricing and features offered among others. Can I add more users to my team? Yes, you can. New members can be added at any point during your subscription. Your bill will then be adjusted according to the number of users added and the days remaining until the next billing period. In what countries is MobileDay available? MobileDay is available in a total of 18 countries: Australia, Belgium, Canada, China, France, Germany, India, Ireland, Italy, Japan, Mexico, the Netherlands, Norway, Spain, Sweden, Switzerland, the UK, and the US. Not sure if MobileDay is the right fit for you? Read our reviews of all top VoIP software providers.